07th September 2016 at 06:15 (IST). Brazil didn’t have a good Copa America as they were eliminated in the group stage, they won one against Haiti by 7-1, drew against Ecuador by 0-0 and lost to Peru by 0-1. They played against Ecuador in their last qualifying match in the World Cup qualifiers and won the match by 0-3. Brazil was awarded a penalty in the 70th minute of the game, and Neymar stepped up to take the penalty which he converted with ease to break the deadlock. Then in the 76th minute of the game Pardes was sent as he received his second yellow of the match and Ecuador was reduced to 10 men. Then in the 87th minute of the match as Gabriel Jesus scored his first international goal and then finally in the 92nd minute Gabriel made it 3-0 as he scored his second of the match. 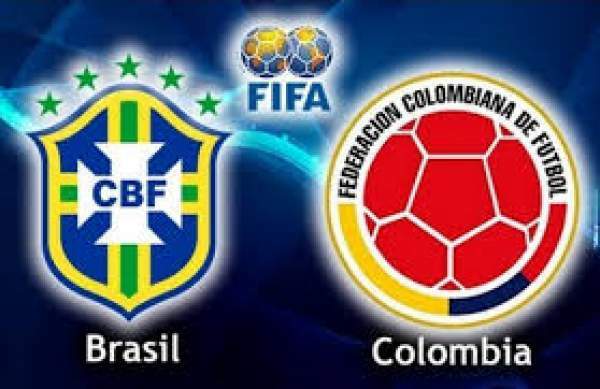 Colombia played well in the Copa America as they reached the semis where they met Chie and lost the game by 0-2. Then they played against the United States of America, the other losing semi-finalists for the third place match and won the game by 0-1. They played against Venezuela in their last game of the qualification stage and won the game by 2-0. James Rodriguez scored the opener in the 47th minute of the game after that Venezuela had lost two of their players as both of them received two yellow cards each. Macnelly Torres doubled Colombia’s, and they won the game. Alisson, Marquinhos, Alves, Miranda, Marcelo, Augusto, Casemiro, Paulinho, Neymar, Willian, Jesus. Ospina, Murillo, Medina, Diaz, Torres, Sanchez, Torres, Muriel, Rodriguez, Bacca. Both teams are strong and will try and win this tie. Come back for the match result, full video highlights, and much more. Don’t forget to share it on social media sites. Stay tuned to The Reporter Times for latest football news and updates.